Can 9/11 Help Us Understand Star Trek Into Darkness? 5 Non-spoiler Predictions From the Psychology of Terrorism. Vulcan's destruction was a 9/11 event. Some Trekkies believe J.J. Abrams's first Star Trek film didn't include social commentary, that it didn't tackle the issues of our time. But that's just not true. Vulcan's destruction was a 9/11 attack against the United Federation of Planets. It occurred by an unknown terrorist, brought an end to feelings of safety, and seismically changed what it meant to be a citizen of the Federation - just like 9/11 in America. Since we have over a decade of research on how America changed after 9/11, I wondered if I could we use the psychology of terrorism to predict the events of Star Trek Into Darkness? This is my attempt to do just that. A quick note before we get started. Even though Star Trek Into Darkness is already out in many parts of the world, I don't know what actually happens in the film. I did get a spoiler over the weekend (which led to a rant about how spoilers are evil), but that spoiler wasn't related to the larger plot of the movie. My predictions are purely based on my knowledge of psychological science as well as exposure to canonical content (e.g. Star Trek Into Darkness trailers, Countdown to Darkness graphic novel, and Star Trek: The Video Game). 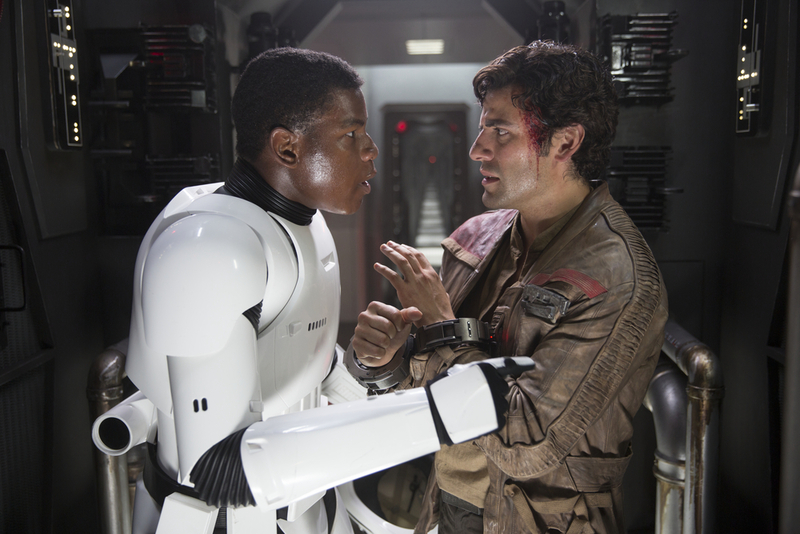 There are no spoilers in this article, just my educated guesses. Their is clear scientific consensus that 9/11 increased rates of post-traumatic stress disorder (PTSD). Even people who weren't directly exposed to the devastation of the attacks were at risk for trauma, leading some scientists to question the way we diagnose PTSD. While rates came down to normal a few years after 9/11, the two groups that continued to be at an increased risk for PTSD were first responders and immediate victims of the attack. First responders had multiple exposures to trauma while survivors faced years of chronic stress as they rebuilt their lives. These findings make two groups at risk for PTSD in Star Trek - Starfleet officers and Vulcans. Starfleet, the Federation's first responders, witnessed the destruction of their fleet and the genocide of the Vulcan people. Many of them were also probably involved with humanitarian efforts after the attack, furthering their exposure to trauma. We know about 10,000 Vulcans (out of 6 billion) escaped the destruction of their planet. Every surviving Vulcan has been impacted by this attack, lost loved ones, and saw their home destroyed (through a viewscreen or on the news). Many Vulcans were exposed to additional trauma when the Gorn attacked New Vulcan (see Star Trek: The Video Game). The person most likely to develop PTSD symptoms in Star Trek Into Darkness is Spock. Spock witnessed his mother’s death, saw his planet destroyed, identifies as a member of "an endangered species", and has a history of struggling with emotions (he attacked kids who were teasing him for being half Human/half Vulcan and attacked Kirk on the bridge of the Enterprise). We've already seen him re-experiencing the trauma of Vulcan's destruction in Countdown to Darkness. The movie will give us a deeper look into how Spock is responding to these traumatic events. Prediction: We'll see Spock re-experience the trauma of Vulcan's destruction, try to numb his pain, and lose complete emotional control (and probably beat the crap out of someone). Star Trek Into Darkness may focus on Klingon xenophobia. Discrimination against Arab and Muslim Americas skyrocketed post 9/11. Between 1998 to 2000, there were less than 10 incidents of Anti-Arab/Muslim hate crimes. Compare that with the 700 reported in the first 9 months after 9/11. Since the terrorists involved in the hijackings couldn't be brought to justice, many Americans took out their anger on those they thought looked like the enemy (which was based purely on prejudice and stereotypes). I don't think we'll see the Federation become prejudiced towards Romulans (they look just like Vulcans). Instead, the Federation is going to become highly cautions of unknown alien threats in the galaxy (probably the Klingons, since they're in Countdown to Darkness). This post-Vulcan Federation won't be as inclusive and welcoming as the old – it’s been changed. To paraphrase Jack Beatty, this Federation has been "expelled from Utopia". Prediction: Starfleet will act with extreme prejudice against the Klingons (for no reason) and see them as a threat to the Federation. Starfleet Command will debate breaking its guiding rule #1. Research into the political aftermath of 9/11 is messy. Studies have revealed different, sometimes conflicting, findings. Some saw an increase in American conservatism after 9/11. Others identified a polarization of existing politics - liberals became more liberal, conservatives more conservative. One of the most interesting, experimental, findings was the relationship between artificially created anxiety and anger in political decision-making. People who felt anxiety about terrorism endorsed opposition to aggressive domestic and foreign policies (e.g. increased homeland security, war against Iraq, etc.) while anger strongly increased support for war aboard. This makes sense - anxiety makes us exaggerate dangers and avoid situations while anger reminds us that we've been wronged and pushes us towards conflict. Even though anger and anxiety waxed and waned in the 2000s, American politics led to an erosion of individual freedoms in the interest of national security. Star Trek Into Darkness will explore a similar theme. The focus won't be on civil liberties. Rather, the Federation may break its general order number 1: the Prime Directive. Countdown to Darkness is all about a character ignoring the Prime Directive for the sake of saving innocent lives. We're going to see a similar debate in this movie. Maybe even Section 31, Starfleet's covert intelligence agency, will be involved. Prediction: A new terrorist attack will enrage the Federation, leading it to break the Prime Directive in the interest of protecting its citizens. Its been difficult to study the factors that influence individuals to engage in terrorism. This isn't exactly a population that's interested in contributing to research. Most of what we know is based upon retrospective studies and field research. Some surprising findings indicate that most terrorists don't have religious education. Instead, many are college-educated professionals. This helps terrorist groups like al-Qaeda retain skilled agents. Terrorist become radicals in their late teens/early 20s, have incomplete knowledge of their religion, and aren't motivated by religious factors or poverty. Terrorists are motivated by their social network (i.e. peer pressure), the belief that a foreign power has interfered with their country, an ingroup/outgroup identity (it's us versus them), and a sense of national humiliation. The humiliation is a big deal - feeling as though their people experienced problems under a foreign occupation (like marginalization), experienced chronic frustrations, and lost significance are good predictors of radical terrorism. The villain in Star Trek Into Darkness is Benedict Cumberbatch's John Harrison. Who Harrison is, what he does, and what motivates him has been the topic of intense debate on the internet. Some think he is Khan, Star Trek's most iconic villain. I don't think he is Khan, but I do think he's a genetically augmented human like Khan, potentially one of Khan's allies. Like most terrorists, Harrison will be motivated by strong humiliation. Harrison will discover a plan by the Federation to persecute his people (augmented humans) and he will strike back with a campaign of terrorism. Prediction: John Harrison, a Section 31 agent, discovers a Federation plot to kill augmented men, women, and children. In retaliation, he attacks Starfleet Headquarters. 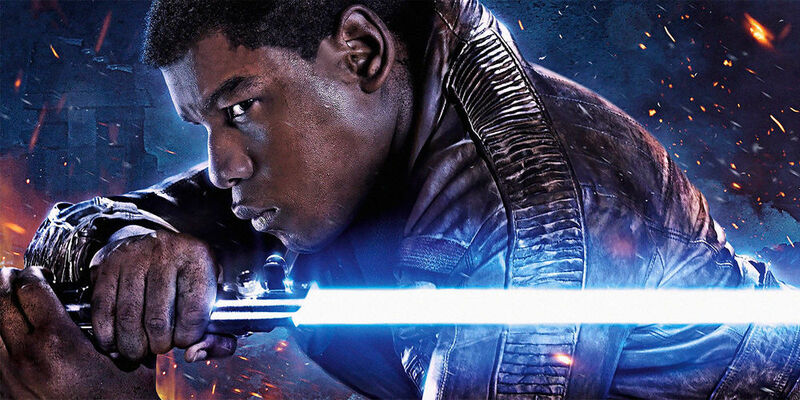 Someone will sacrifice their life in Star Trek Into Darkness. Americans met the challenge of 9/11 with resiliency and altruism. In the immediate aftermath of 9/11, people felt closer to one another, made blood donations, volunteered, contributed to charity, and increased trust in their communities. Character strengths of gratitude, hope, kindness, leadership, love, spirituality, and teamwork also significantly increased. Why did this happen? After large disasters, our sense of responsibility to each other increases, thereby encouraging acts of altruism. What was unique about 9/11 was American's strong desire to learn more about Islam - the Quran became a bestselling book and many efforts were put into place to increase religious understanding between different communities. Gene Roddenberry's vision of Star Trek is an optimistic future. Therefore, Into Darkness will demonstrate humanity at its best. The crew will face immense challenges, but they’ll remain resilient in the face of traumatic stress. The Federation might engage in questionable moral actions, but Kirk will correct the Federation's mistakes. Someone will demonstrate ultimate altruism by sacrificing their life to save Earth. Prediction: Kirk will do the right thing, even if it means losing his command. A member of the crew (not Spock) will sacrifice their life to save Earth. This wraps up my countdown to Star Trek Into Darkness. Come back Sunday for my initial non-spoiler review of the film and check back in a few weeks for my analysis of the psychology of Star Trek Into Darkness. Hurricane Sandy came and went. While I escaped the storm safe and sound, some of my friends and family were not so lucky. Many are still without power, some experienced flooding, and two had extensive damage to their property. Walking around New York City post-Sandy was surreal. Above 40th street, New York felt like Metropolis under the watchful eye of Superman with folks brunching and kids trick-or-treating. Below 40th, it was Gotham City under the occupation of Bane with limited resources and a crumbling infrastructure. 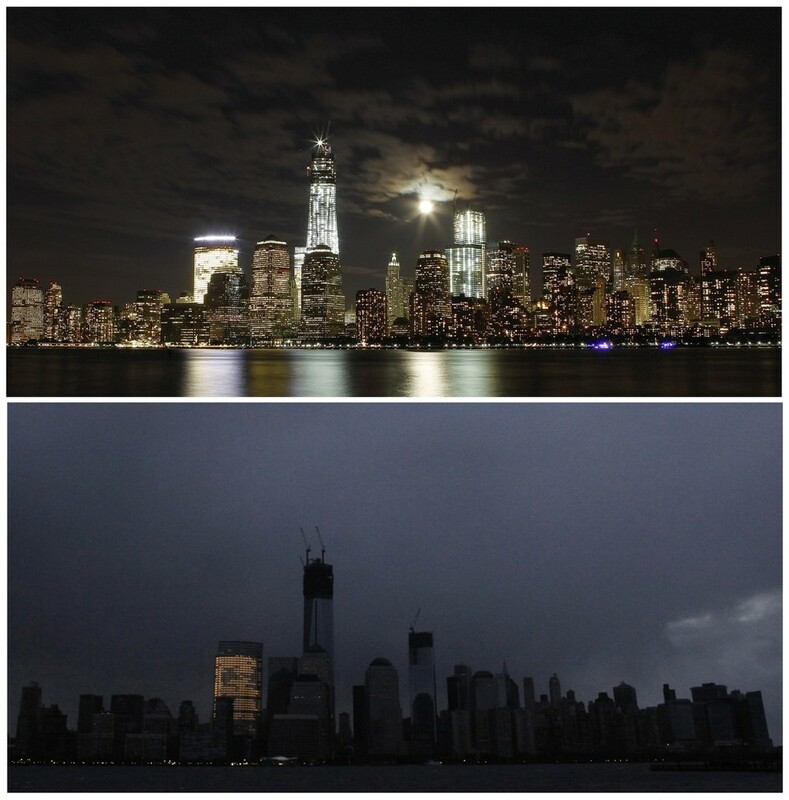 REUTERS/Gary Hershorn/Eduardo Munoz, Lower Manhattan before and after Hurricane Sandy, via Washington Post. Yet, despite these horrible conditions, New Yorkers across the city rallied around each other, shared what they had, and reached out to those who couldn't help themselves. We've seen this before, both in science fiction and reality. In this summer's The Dark Knight Rises, Gothamites came together to fight the brutal forces of Bane. A similar phenomenon was observed in the real Gotham City post 9/11/2001 - New Yorkers put their differences aside to ensure their neighbors were safe. A major theme in the Dark Knight trilogy is the rise of Gothamites from an apathetic population to one that takes responsibility for its city. Psychologists Christopher Peterson (who sadly passed away last month) and Martin Seligman, pioneers in the field of positive psychology, investigated this exact observation in a 2003 study. Peterson and Seligman used the Values in Action (VIA) Classification of Strengths (you can take it yourself here), a scientific assessment of positive traits that exist across cultures, to determine if New Yorkers were experiencing a change in character strengths before and after the events of 9/11. What they found was post 9/11, the character strengths of gratitude, hope, kindness, leadership, love, spirituality, and teamwork had significantly increased. Furthermore, these strengths remained elevated 10 months after the attacks. In the immediate aftermath of September 11, people behaved differently by turning to others, which in turn changed their social worlds so that the relevant behaviors were rewarded and thus maintained. In other words, following 9/11 people were more likely to help each other, which in turn reinforced altruistic character strengths in the short and long term. While there are some problems with Peterson and Seligman's 2003 study (it was cross sectional, not longitudinal, and could suffer from a sampling bias), it did empirically demonstrate a trend that is often observed in the aftermath of traumatic events - people help each other. 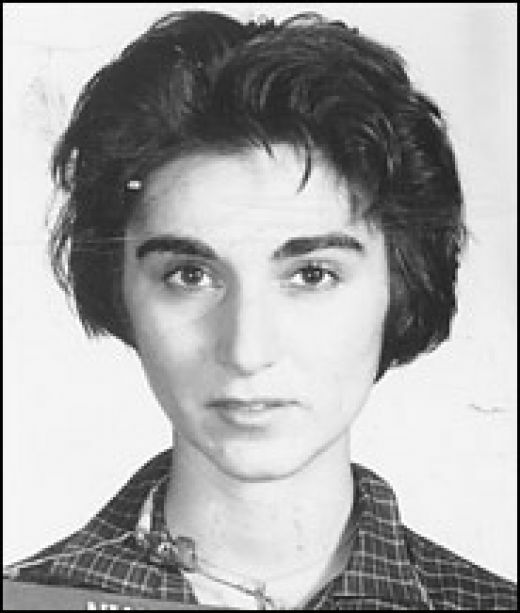 The murder of Kitty Genovese, and the ironic myth of bystandard apathy in her case, ignited research in the field of altruism. See a situation as an emergency. Feel personal responsibility to the other person (i.e. don't see themselves as a bystander). Have the ability to plan and implement a course of action. Given the above, it's likely that in these large scale disasters, most individuals feel an increased personal responsibility to their neighbors, friends, and relatives. Additionally, seeing news, blogs, photos, and tweets about the disaster increases a sense of urgency while reports of locals helping each other shows us how we can provide assistance. Living in a part of NYC that had power this week, I did feel a personal responsibility to provide refuge to friends who were not as fortunate. However, that responsibility only developed after reading about their suffering through Facebook updates. When displaced friends did come over, it felt good to help them (altruism is highly reinforcing). Peter Foley returned to Gotham's aid because of a sense of responsibility to his friend. Getting back to The Dark Knight Rises, when Bane created a sense of emergency it was through teamwork and collective responsibility that Gotham rose against him. Bruce Wayne returned as Batman only after John Blake and Commission Gordon reminded him of his responsibility to protect the city. 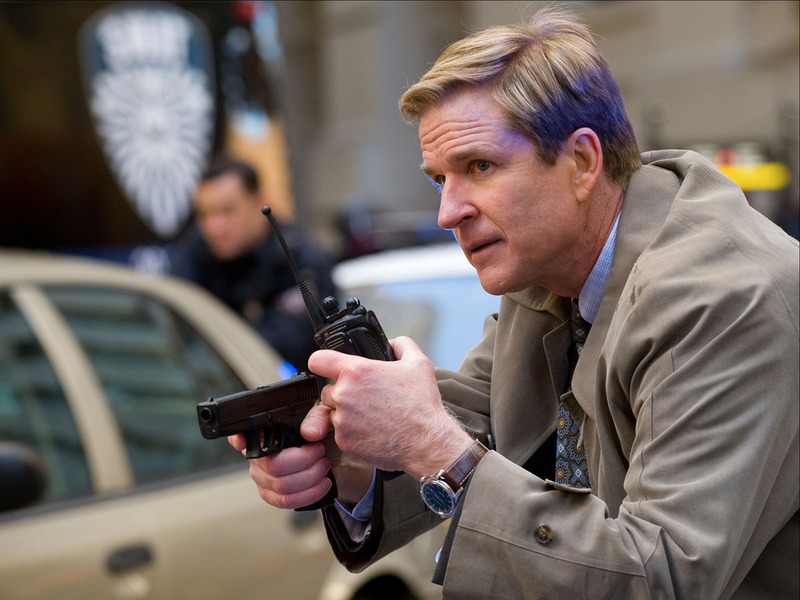 Later, Commissioner Gordon used a sense of personal responsibility, based upon their past partnership, to convince Peter Foley to stop hiding and assist in the resistance against Bane. The ultimate hero of the Dark Knight trilogy is not Batman, but the citizens of Gotham who finally accepted responsibility for fighting injustice. While I would never wish a disaster upon anyone, psychology has demonstrated that good things can come out of traumatic events. We can all capitalize upon these findings (e.g. create a sense of urgency, personal responsibility, and describe a course of action) to promote altruism before impending disasters, in their aftermath, and during times of personal crisis. To learn more about how you can help those affected by Hurricane Sandy, click here for more information.